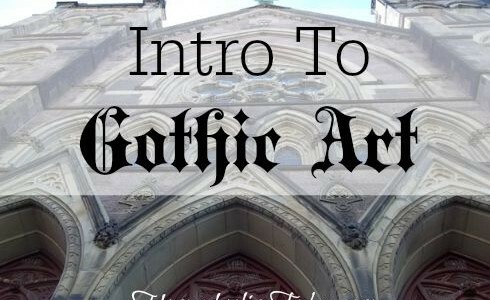 Many young students, when hearing the term “Gothic,” think of a certain style of fiction art in desolate lands with macabre creatures and violent action. 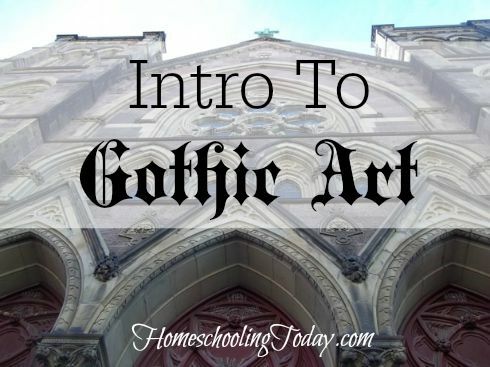 In truth, Gothic has a far nobler meaning especially when pertaining to art history. 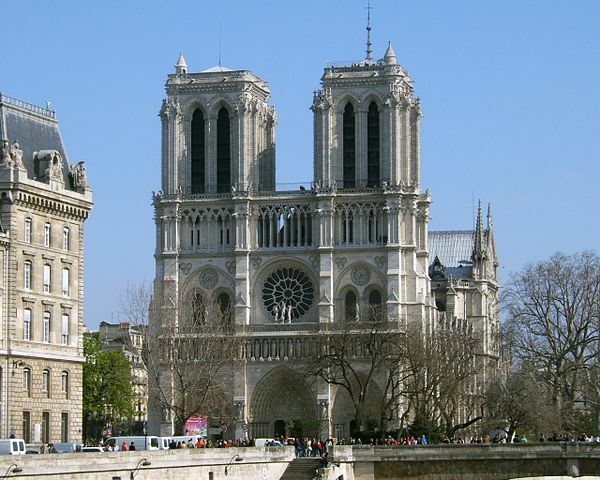 The Gothic style was best manifested in its large stone cathedrals. A sterling example of this is the Cathedral of Notre Dame in Paris. The Gothic Period would be the last phase to come out of the Middle Ages. No longer was Christian art simply meant to be symbolic and rather simplistic as in centuries past. Artists were now more concerned with conveying the message of the gospel in a realistic and dynamic manner. 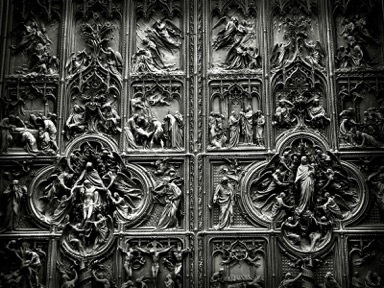 The Gothic Period would be the forerunner to the Renaissance (1400 AD -1600 AD) and would witness a great rise in artistic appreciation, especially in its grandiose cathedrals. Even sculpture would go through a revival. Like the magnificent architecture, Gothic sculpture took on its own superb qualities, far more agile and weightless when compared with the heaviness of the more somber Romanesque era. These new stone carved figures seemed to have vitality and individual personalities. Whereas, the Romanesque Period portrayed the saints as rigid and expressionless, the Gothic Period strived to show the human side of the saints. During these centuries, the intent of art and architecture was to edify the body of believers and glorify God. As Pope Gregory the Great had proclaimed in the sixth century, the Church believed that artistic renderings of biblical stories and saints upon its walls were there to inspire and to encourage those in the congregations, especially those who could not read. Ironically, the term Gothic was first given to this period by the great Renaissance artist, Raphael (1483-1520). He believed that the artwork, architecture and sculpture produced during the 12th and 13th centuries was strongly influenced by the barbarian Goths. In actuality, the Goths had rampaged Europe nearly 700 years before the Gothic Period and had very little influence on its style. Raphael, like most Italians of his day, believed that art had flourished during the times of ancient Greece and Rome. Raphael reasoned that much of this ancient style, along with its ideals had been destroyed during the Dark Ages. Yet, he grievously erred. For, contrary to his beliefs, the Gothic era would also bring about an emphasis on man’s achievements through pursuits such as Latin, astronomy and mathematics. The Gothic Period originated in France in the 12th century and would usher in a new and magnificent approach to architecture. Cathedral buildings quickly began to spread throughout the rest of Europe and would thrive until the end of the 14th century. Where the old, bulky stone churches of the Romanesque Period (900 AD –1200 AD) were dark and dank, large stained glass windows now radiated a wonderful, colorful light within the walls. Cathedrals continued to rise in town after town and village after village proclaiming the glory of God. Each seemed to grow larger in size and splendor than the one before it. Cathedrals became the new spacious houses for God, their spires seemingly touching the gates of heaven. The interiors had high ceilings with long, vertical walls that represented God’s omnipresence. The Middle Ages (300 AD-1600 AD) was a thousand years that followed the ancient Greek and Roman periods and, in actuality, produced many different styles of art. It contained early Christian art, the Byzantine Period, the Illuminated Manuscripts of the Dark Ages, and the Romanesque and Gothic Periods. Despite the various eras and styles, one thing remained steadfast – the focus was on the Christian faith and illustrating the Gospel. During the Middle Ages, the Church would be the main protector of the fine arts. Even as barbarians devastated European civilization, it remained steadfast in its preserving and promoting evangelistic masterpieces. One of the Church’s missions was to glorify God in leading man to salvation. This was not only done in its artwork but through the design of its buildings. Throughout these many centuries, nothing in the art of the Church existed for its own sake, but only to transmit the saving knowledge of Christ, without whom all beauty was meaningless. Therefore, the images that adorned its walls were reminders of this timeless Christian message. Like painting and sculpting, architecture is a form of art and is grouped together as one of the fine arts (drawing, painting and sculpture). The term architecture simply means the art of designing buildings. Its objective is to merge function with form, meaning that a building should not only be beautiful but practical. The brilliant minds that set upon the task of designing these huge cathedrals ingeniously did so with biblical proportions, taking into consideration the precise size of Solomon’s temple, Noah’s ark, and even the New Jerusalem when calculating the dimensions. There is much to cherish within each of these prodigious cathedrals of antiquity which still stand, defying time like spiritual exclamation marks throughout Europe. Yet, through all the grandeur with sculpted figures, massive stone edifices and immense heavenly space, it is the stained glass windows that truly catch the eye – paintings in glass, bursting forth through morning sunlight with colors radiant and vibrant. Saintly images, mosaically collaged, look down upon the human soul with the glory and splendor of God Almighty. Each brilliant image has its perfect place within the grand cathedral, framed in exquisite stone like masterpieces within a museum. 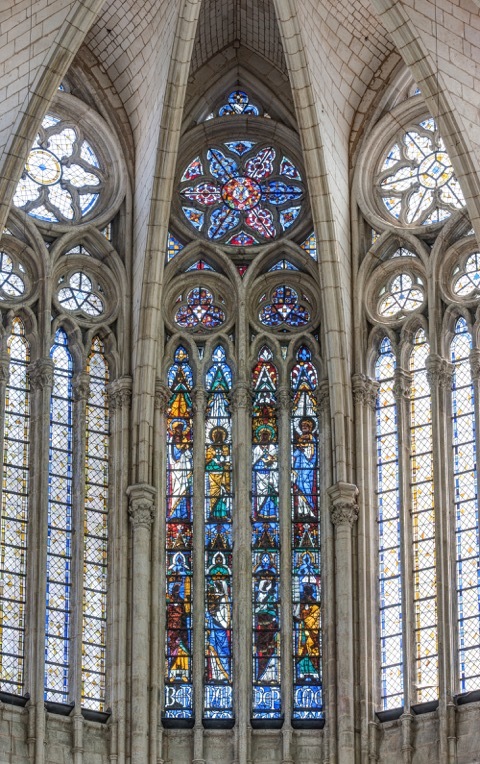 These Gothic cathedrals, rimmed with gracefully sculpted figures were all exquisitely accented by the stained glass windows with bursts of glowing hues. Barry Stebbing, creator of How Great Thou ART Publications, has many delightful, and instructional art texts and DVDs, teaching the fundamentals of drawing and the academics of color theory and beginning painting for all ages. God & the History of Art (ages 8 & up) has now become an award winning best seller. Mr. Stebbing also teaches 3 day art classes to homeschoolers throughout North America. For a free catalog or information pertaining to the art classes please visit the website at howgreatthouart.com.